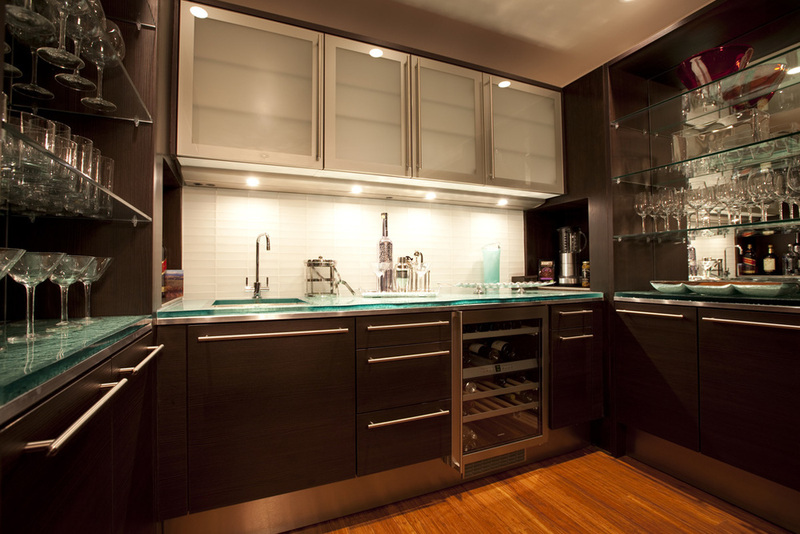 Florin Residence — Isaman design, Inc. This dramatic remodel aimed to revitalize an ocean facing home with a fresh new contemporary feel. 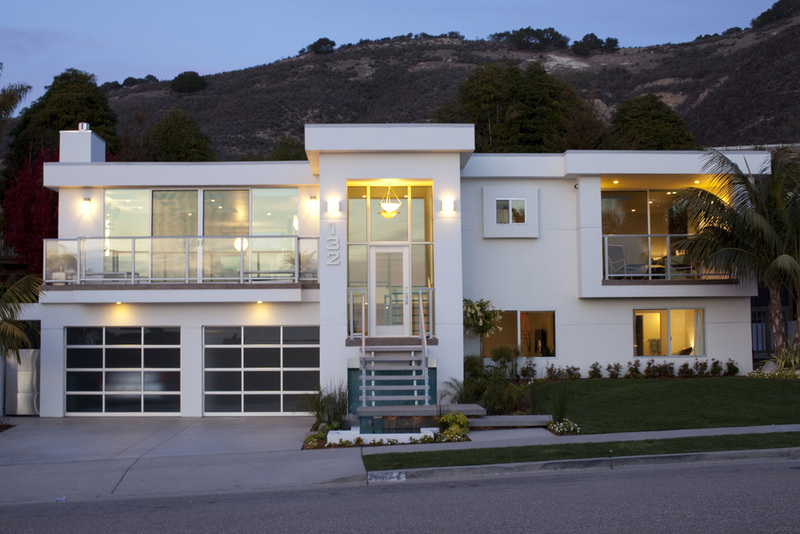 The owners wanted a bright, light filled home that took advantage of the sweeping ocean views. 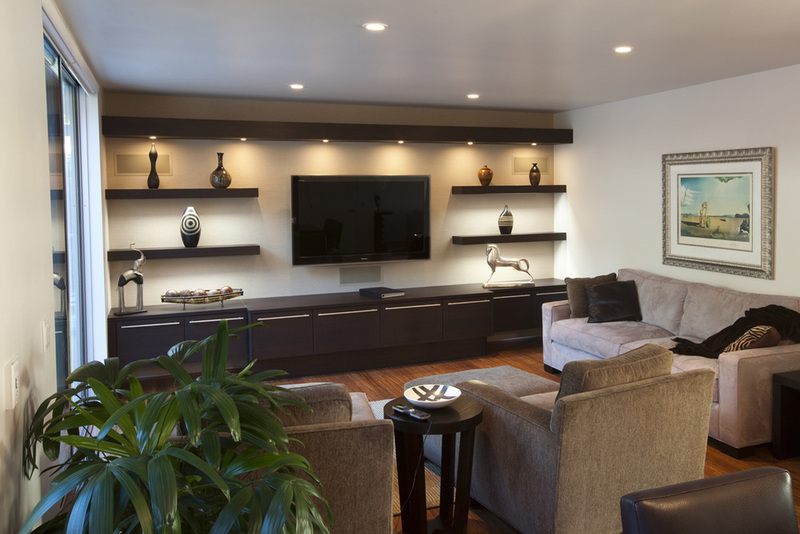 More than just cosmetic changes, this home underwent extensive spatial reconfiguration and upgrades to feature all of the modern amenities that fit the clients’ lifestyle. The entry is pronounced by a two story element outfitted with full height glazing and a glass stair case which allows for maximum amounts of daylight to enter the home. Ideal for entertaining, the reconfigured open floor plan provides large gathering spaces, a full bar, wine room and a European style kitchen. Clean lines and details were achieved through the use of custom SieMatic cabinets in the kitchen, bar, entertainment wall and home office. The addition of 9 skylights in the main living room and 2 in the master bedroom help illuminate and brighten the spaces.